So, if in all its majestic beauty, the building could recount thousands of stories, what would they be? Would they include the laughter of a little girl at a swim lesson with her parents? Melodic chirps of sneakers synchronized with rhythmic dribbling echoing through the gymnasium? Intense badminton and racquetball matches between circuit judges and attorneys at lunchtime? Lively socials where young men and women gathered? Quiet breaths from a weary traveler resting in a room? Major events are recorded in history, but what happens to the more personal, intimate stories of individuals? On June 20, 1920, a group of St. Petersburg businessmen formed the first YMCA in the city. With a goal of raising $550,000, the community was able to come up with the funds for construction entirely through donations. The iconic swimming pool, touted as ‘one of the finest in the South’ and home to hundreds of aquatics programs, was almost eliminated from the original plans because of a funding deficit until Mr. David S. Welch donated an additional $10,000 to see the project come to fruition. 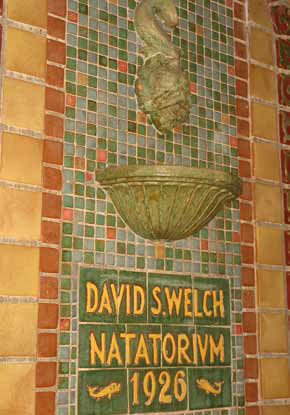 Aptly named, the David S. Welch Natatorium has been one of the most prominent fixtures of the Y throughout its history. Almost 90 years later, in the midst of another growth spurt certain to become part of St. Petersburg’s rich history, the YMCA on 1st Avenue South and 5th Street is undergoing change once again. 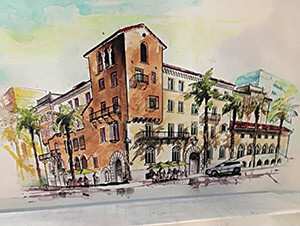 Since closing its doors and relocating to Central Plaza in 2001, the future of the historical building has been uncertain, changing ownership multiple times with varying plans for its purpose. But in November 2014, Nicholas Ekonomou emerged as the newest owner, paying $1.4M for the property after years of contested litigation with Thomas Nestor, music promoter, the previous potential buyer. 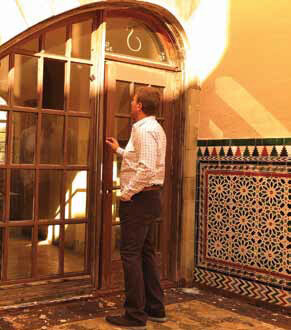 Ekonomou is taking great care to preserve as many of the original features of the building as possible, from the swimming pool tiles, to the Spanish tiles decorating the lounges and patio, and the terra cotta roof. He has found a company specializing in creating replicas if any originals need replacing. A new nine-story tower, to be built adjacent to the existing structure to house 40 additional hotel rooms and a rooftop terrace, will also be designed to match the aesthetics of the historical building. He has also sparked the interest of Kimpton Hotel and Restaurant Group, known for their trendy boutique hotels. 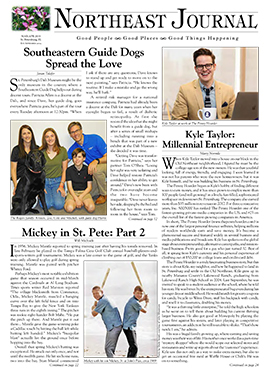 He commissioned Ben Daniele and Doug Tschirhart, owners of Scatter Brother Productions, a media and video production company based in downtown St. Petersburg, to catalog and produce a feature-length documentary about the project. 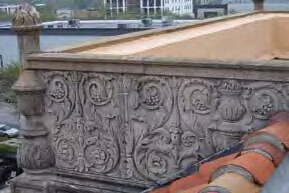 The film will examine the history, the period of decline, and the restoration of the YMCA. They are actively seeking former patrons of the Y to share their memories for the documentary. Daniele remarks, “The stories we hear during the interviews are really remarkable. 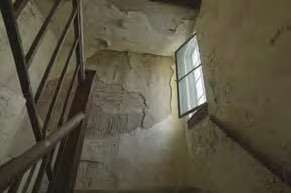 This building left such an imprint on the community. Literally, everybody seems to know about it [the Y] or seems to know somebody who was there. This is such a connected town.” Tschirhart adds, “I love the history of the city. It’s been very interesting hearing the stories not only about the YMCA, but about the city and how it’s transformed over the past 90 years.” Filming primarily takes place on site and they have already conducted over 25 interviews, but continue to look for more. Since its opening, the YMCA building has been home to various organizations, and served a multitude of purposes. Beginning as a strictly a men’s organization, it held father-and-son programs, night-school classes, and summer camps. The programs flourished during the ’50s and ’60s after The Depression and difficult economic times of the ’30s. In the 1960s, they offered membership to women and girls. Many professionals spent their lunchtime participating in the new fitness movement sweeping the nation in the ’70s. The badminton courts were regularly bustling with activity as circuit court judge Mark McGerry, Jr. and state senator Henry Sayler could be found locked in an intense match during their lunch hour. The natatorium has launched many a swimming-related career. In 1983, Dan and Patty Nardozzi were looking for a drown-proof swimming program for their daughter Kristen. “The Y was the only place that took 6-month-olds at the time,” explains Patty. Taught by Jo Ann Harrelson of Shore Acres, Kristen went on to get a full swimming scholarship at the University of New Hampshire, coached at the University of Connecticut, and is currently a sales representative for Speedo. Harrelson and the Nardozzis continue to swim competitively with the St. Pete Masters swim team. 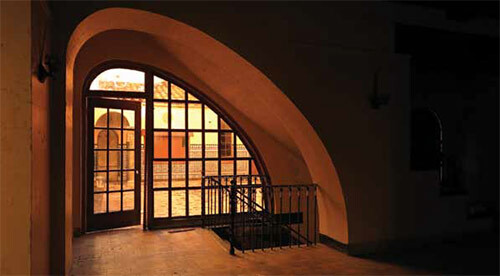 Extending beyond the fitness realm, the building even served as a bomb shelter in the 1960s, and the gymnasium was a set for the murder mystery film, Hidden Fears, released in 1993. 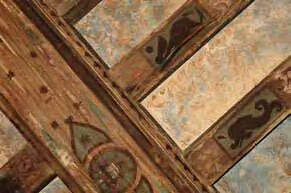 So, the question is, what stories will the walls of The Edward eventually share? The possibilities are limitless, but the city will soon have a beautiful venue where new memories can be made again. For those interested in sharing their memories of the YMCA in the documentary, please email mailto:info@scatterbrothers.com. Special thanks to the St. Petersburg Museum of History for sharing their archives and helping with the research.